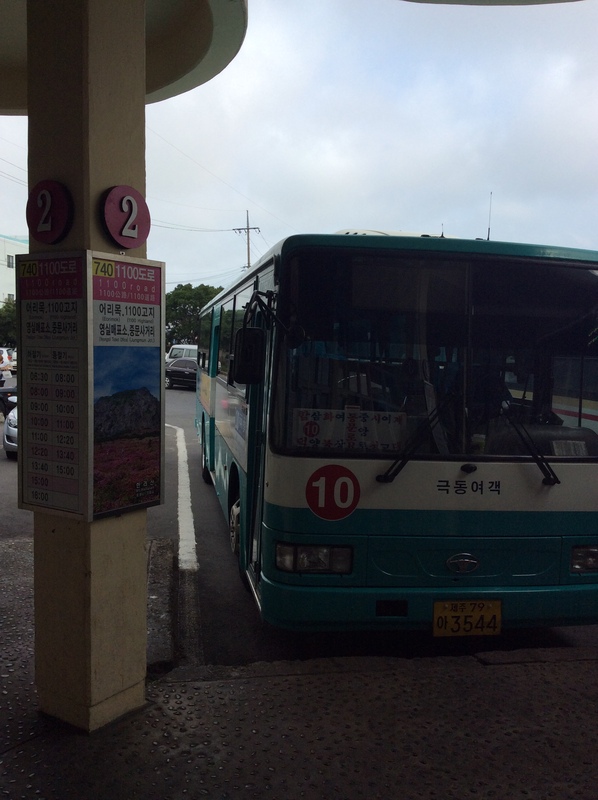 Take Jeju Bus 100, 200, or 502. 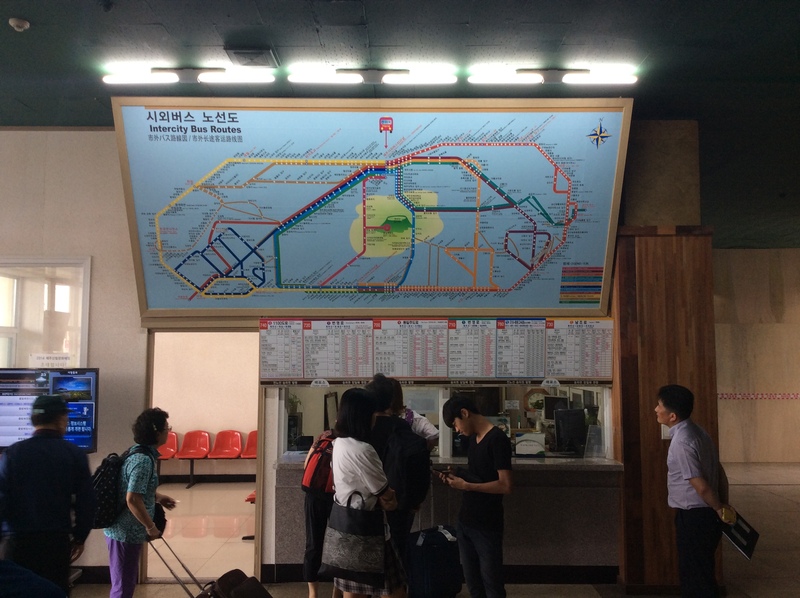 Ask the driver whether the bus goes to the terminal in Korean(터미널 가요? teo-mi-null gah-yo?) If he nods, get on the bus. 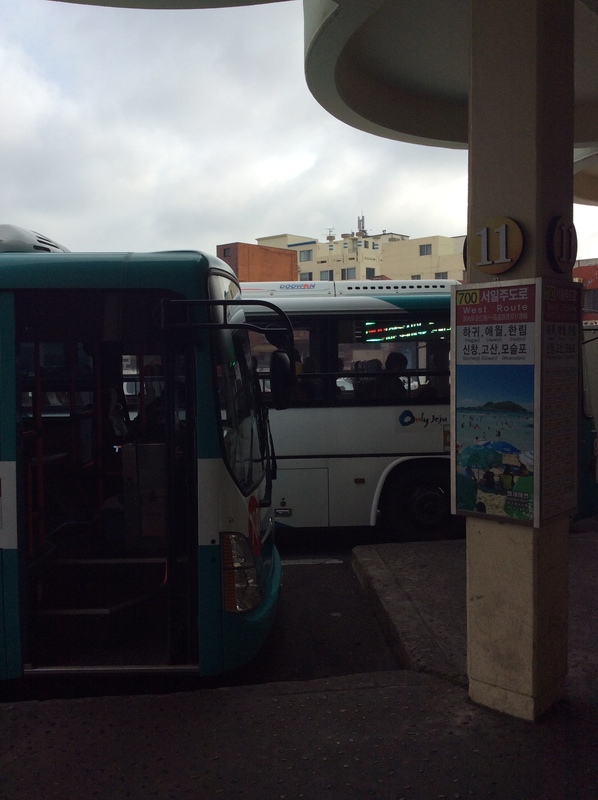 Assuming that you’ve arrive at your guesthouse in the Jeju Island, I would explain how to take a ‘Jeju bus’. 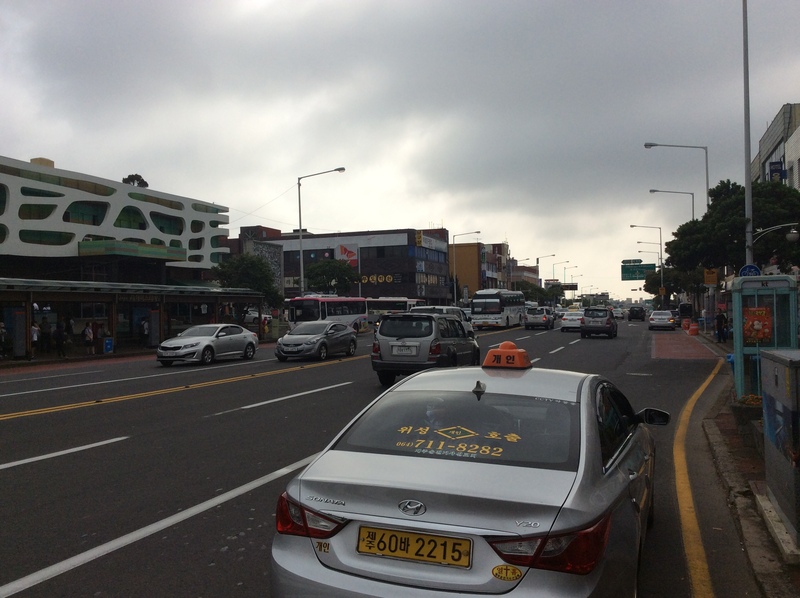 Don’t blame yourself if you took the different route of intracity Jeju bus, because even I got confused twice today while traveling by bus and had to get off twice. Luckily, you get one free transfer to other buses if you do so in 40 minutes after you tagged your card! So it’s okay to be confused and get off (in 30 minutes.) 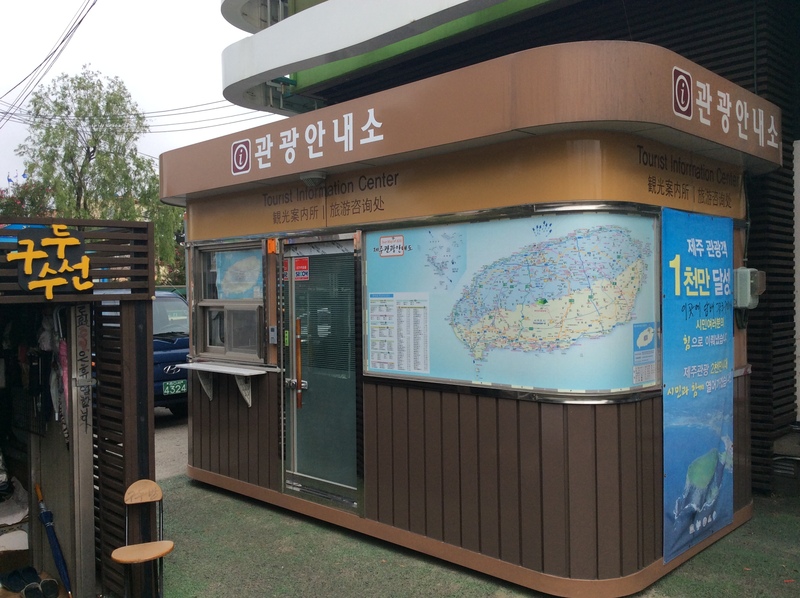 Supposing that you stayed at Greenday guesthouse, you’ll find your bus stop at DAUM MAPS, which is a must-have app for Jeju travel, available in Android marker and Apple Appstore.Take Jeju Bus 100, 200, or 502. 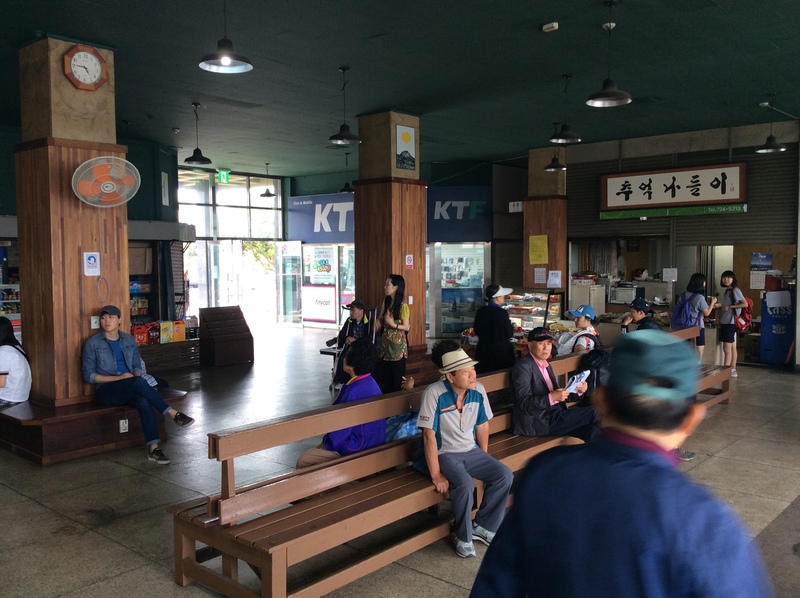 Ask the driver whether the bus goes to the terminal in Korean(터미널 가요? teo-mi-null gah-yo?) If he nods, get on the bus. 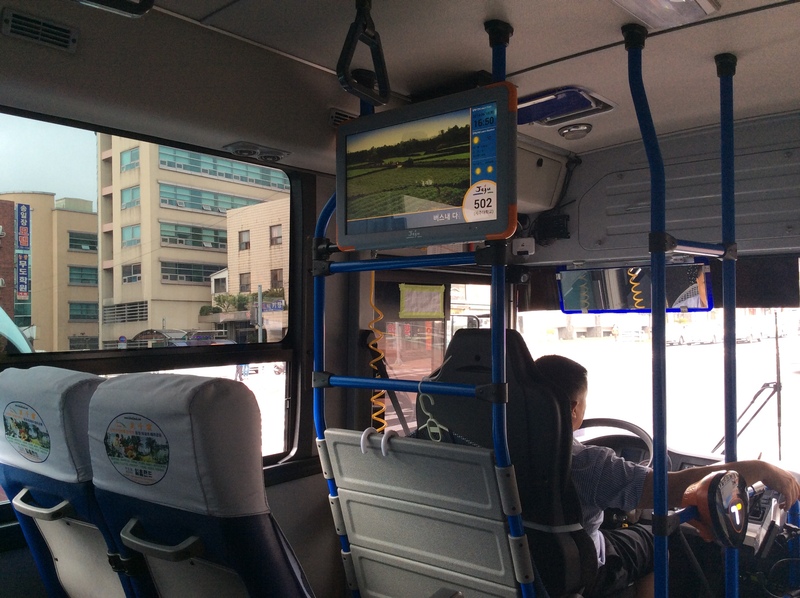 Jeju bus has monitor which tells you the next bus stop you’ll arrive in English. Don’t lose focus! You’ll see a city tour bus. It’ll cost 5000won. If you feel like taking a city tour, get inside. But I guess you might have just passed this one since you would prefer independent tour. Let’s get inside the bus terminal. 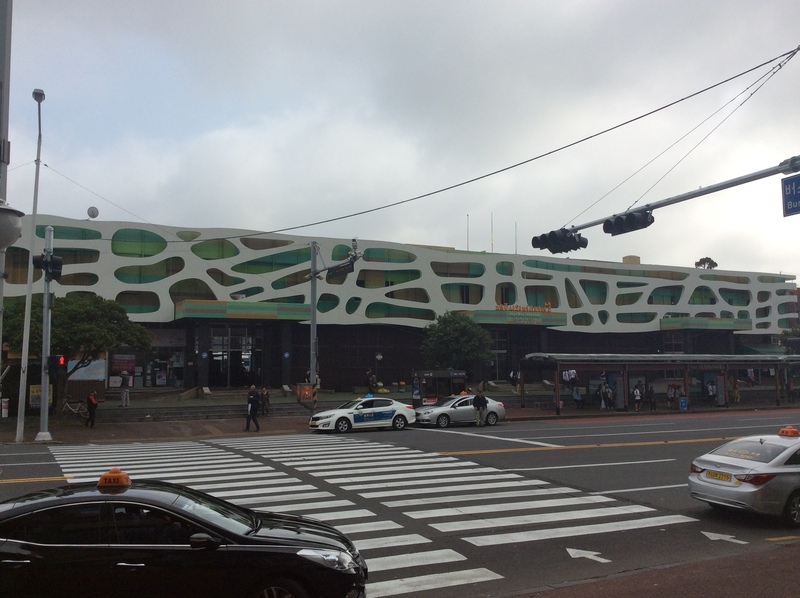 The Jeju Bus Terminal Might be finished with the renovation which began in August. So it would be a bit different now. Buy your ticket here and check the departing time and destination. 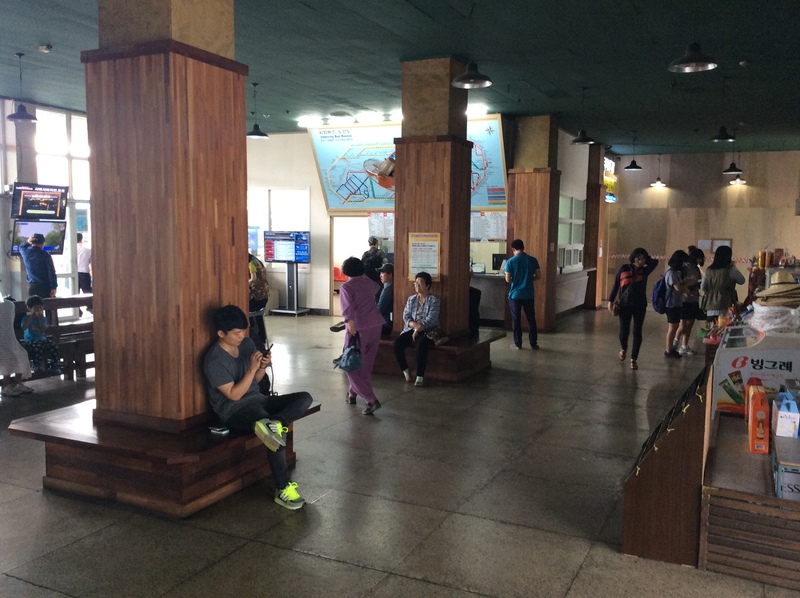 If you decided to take one of these intercity bus of Jeju, good luck! 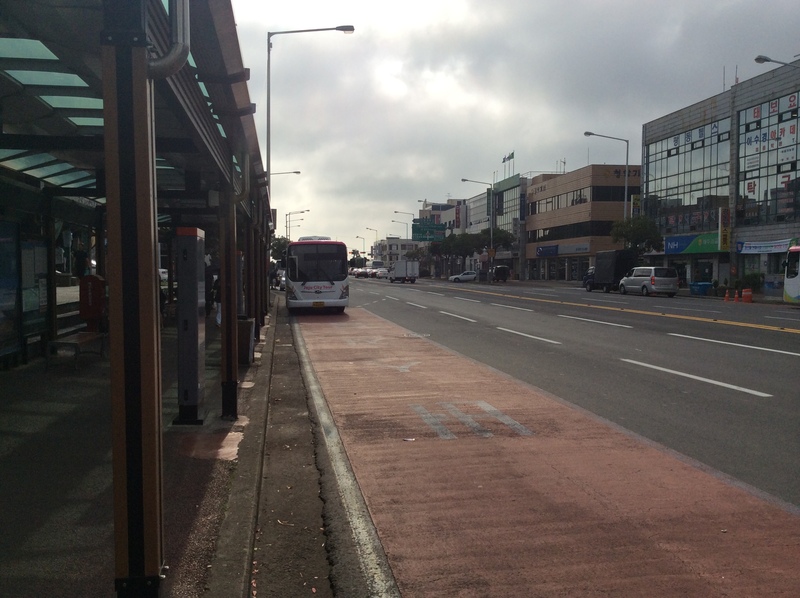 I will post more detailed information explaining how to take Jeju buses later. thank you 😉 i will keep on updating! yes…seems challenging….i browsed using google map and the bus number is totally differnt with other ppl advise eg airbnb…google map not updated?